Join us on Sundays at 10.30am: this is the main and regular focal point for our life together as a community. Each person is invited to follow Jesus – a lifelong process called discipleship. This is best done with other people: as part of the larger community, in smaller groupings and in close relationship with one or two others. Across the city there are a variety of small groups which meet in different places with different styles, each with a specific purpose. A couple are weekly, while others are generally bi-weekly. The styles include prayer & support, looking at some Christian teaching material together, as well as meeting together to inform lives and mission, both as individuals and as a group. Also across the city are IPODs – small clusters of people Intentionally Praying on Our Doorsteps, praying for their local area. The key here is simplicity and flexibility, grabbing perhaps just 15 mins to pray for neighbours rather than anything complicated. 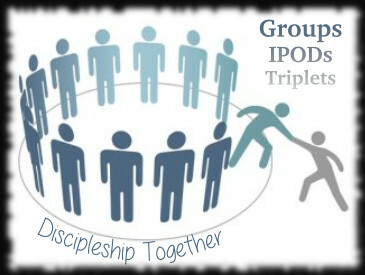 People are encouraged to form prayer partnerships or triplets, to share their discipleship journey together. For those exploring what the Christian faith is all about, or new to discipleship and considering baptism, both Alpha courses and other short courses are occasionally run. We encourage, release and affirm people in ministry in a number of ways. For example as Community Ministers, or simply through helping out with one of the many initiatives and activities we take part in as a church.